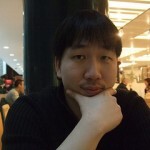 I am an associate professor in the Department of Software, College of Software, Sungkyunkwan University (SKKU). I am now leading the Security Laboratory (seclab) at SKKU (see [CV][dblp][Google Scholar]). My research interests are security engineering, usable security and software security. I received a PhD in the Security Group at the Computer Laboratory, University of Cambridge with Prof. Ross Anderson, having written my thesis on complex network analysis for secure and robust communications. After completing my PhD, I worked as a post-doctoral fellow working in the Laboratory for Education and Research in Secure Systems Engineering (LERSSE), Electrical and Computer Engineering at the University of British Columbia (UBC). I also worked in Samsung Electronics on research projects for secure home networking and content protection before pursuing a PhD. As for my academic genealogy, my thesis adviser was Ross Anderson; his was Roger Needham; then it runs back through Maurice Wilkes, Jack Ratcliffe, Edward Appleton, Ernest Rutherford, JJ Thomson, Lord Rayleigh, Edward Routh, William Hopkins, Adam Sedgwick, Thomas Jones, Thomas Postlethwaite, Stephen Whisson, Walter Taylor, Roger Smith, Roger Cotes, Isaac Newton, Isaac Barrow and Vincenzo Viviani to Galileo Galilei.